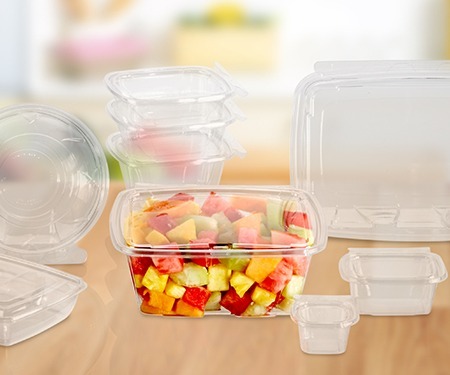 clamshells and food containers designed to your exact requirements. Tell us what you’re looking for and we’ll design it from scratch. Our skilled engineers stick to three main principles for every custom product: maintain food integrity, extend shelf life, and design for max merchandising appeal. We work FAST on your behalf. That’s because we know how critical it is for you to be first to market – and to differentiate your product so it stands out from the competition and meets your fast-changing needs. Just ask the hundreds of brand owners who have relied on us for years! All projects start with a thorough assessment of your needs. What will the package be used for? Where will it be used? Are there special shipping, manufacturing or merchandising considerations? These are the types of questions we will ask. Once we have a clear understanding of your packaging needs, we will develop initial packaging concepts and designs and at the same time, provide a no-obligation quote that outlines all potential costs if you decide to proceed. In this phase, you will receive a model part that closely resembles the finished package. We make all prototypes in-house, usually within five days. Prototypes are typically made from the same material as the final package and are ideal for evaluating the size and look of your finished package. Once the prototype is approved, the project moves to tool fabrication phase. We make all of our tools in-house. Please allow about six to eight weeks for us to complete a tool. During start-up, our quality team closely monitors production to ensure all parts meet the defined specifications. Lacerta inventories all custom tools and provides manufacturing support and supply management to meet our customers’ ongoing needs.